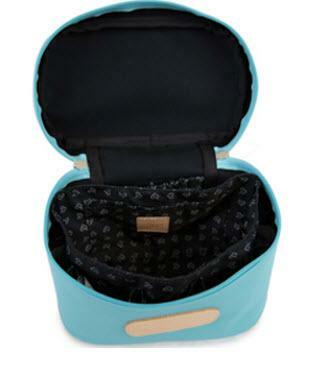 An easy way to keep your new or existing makeup case clean and well organized is with this Jon Hart Design logo printed makeup case organizer. Made with black lining. It is easily removable for cleaning purposes. 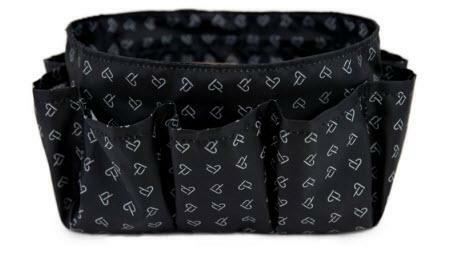 Has many compartments for organization. Measures at 5.5"h x 9"w x 5"d. Fits perfectly inside monogrammed canvas and leather train from Jon Hart. Price: $46.00 In stock! - Browse this brand: Jon Hart DesignOur products are custom made to your specifications. This product ships up to 4 weeks after your order is placed.